What are Some Good Ways to Find Average Salaries? Whether you’re just graduating high school and thinking about higher education, or considering a career change, average salaries in your chosen field are obviously a consideration as you plan to invest in your future. But how do you know that the sources you’re using for salary information are accurate? Read on to get the scoop on the best data for salary information in a variety of career fields. This will give you the facts you need to make the plunge into higher education or training, particularly if you are considering a costly program and need to ensure a return on investment. This resource, maintained by the federal government, is a database of median and average wages for a wide variety of occupations–over 800 jobs in 400 industries. Not only can you view national wage data, but you can also break it down by region, state, and metropolitan area. This is a valuable resource in that it is based hard data rather than employee reports. NACE has been compiling salary information since 1956, and is largely considered the primary source for average pay information in the United States. In addition to viewing salary by job, you can also see trends across industries. For example, NACE tracks the top paying jobs in a variety of majors, as well as calculating average salaries with benefits and perks that are common to specific jobs, so it’s a great source of advice for those negotiating for their first job. This website is a repository of anonymous salary reports by employees themselves, making it a unique opportunity to see what you might make not only in a specific career, but in a specific industry, region, or at a specific company. The reported information also includes details on benefits and perks included in overall compensation, particularly when you do a search by title. Similar to Glassdoor, Salary.com compiles anonymous compensation reports from live, anonymous employees. Its unique charts let you view trends by industry, career, and region. In addition, if you’d like a little more insight, you can pay for a salary report that’s specific to your education and work experience. In addition to these overall resources for salary information, industry-specific resources provide an important glimpse into compensation in that field. For example, the Public Relations Society of America has resources for average salary for those in that realm, and the Chronicle of Higher Education does the same for college professionals. If there’s a professional association in your field, that’s a great place to start. 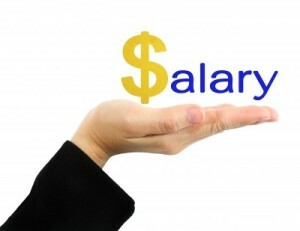 Compensation is an important part of choosing the career that will take you into a bright future. By using these resources, you should be able to gather reliable information about average salaries in your field of interest to help guide your research and decision-making.